Under the Nixon administration, the Vietnam War officially came to a close. Though Nixon had secretly begun talks with the North Vietnamese during Johnson’s presidency, in 1969 the scope of U.S. involvement expanded with bombing campaigns in Cambodia and incursions in Laos. At the same time, the administration worked to build up the South Vietnamese armed forces in order to allow for the eventual withdrawal of U.S. troops. 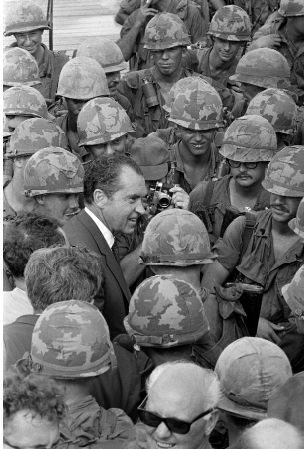 During Nixon’s second term, the Vietnam War was officially ended with the signing of the Paris Peace Accords in 1973. 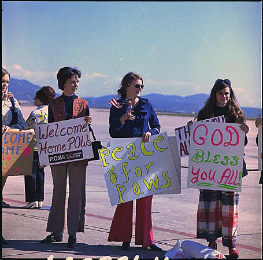 Domestically, student anti-war demonstrations intensified. The most infamous took place at Kent State; National Guard troops shot into a crowd of students and protesters, killing four. In 1971, the New York Times and Washington Post began publishing excerpts from the Pentagon Papers, a study on U.S. involvement in Vietnam compiled by the Department of Defense. Nixon administration attempts to quiet the scandal created by the publication of the papers became part of the wider Watergate investigation, leading to Nixon’s downfall and resignation in 1974. Presidential Daily Diary, 1/21/1969 - 8/9/1974- The Daily Diary chronicles the activities of the President, from the time he left the private residence until he retired for the day, including personal and private meetings, events, social and speaking engagements, trips, telephone calls, meals, routine tasks, and recreational pursuits. Vietnam- Correspondence from Richard Nixon to Nguyen Van Thieu- Letters between Nixon and the president of South Vietnam in 1972. 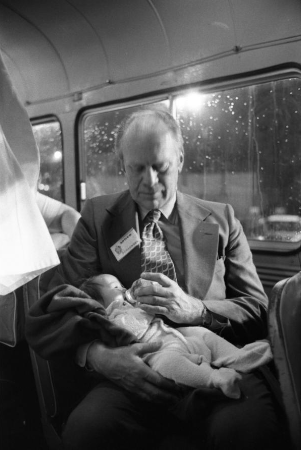 WHSF: Contested, 48-1- Analysis of public reaction to the publication of the Pentagon Papers. February 10, 1973 - Nixon, Vice President Agnew- Discussion of the situation in Southeast Asia after the signing of the Paris Peace Accords. When John F. Kennedy was assassinated on November 22, 1963 in Dallas, Lyndon Johnson inherited an increasingly deteriorating military and political situation in Vietnam. Though Kennedy had reportedly begun to cool on the conflict, Johnson made the choice to escalate; 1965 saw the first deployment of American ground troopshttps://catalog.archives.gov/id/74258721as well as the beginning of Operation Rolling Thunder, a three year aerial bombardment campaign. The Gulf of Tonkin Incidenthttps://catalog.archives.gov/id/2803383in the summer of 1964 gave the Johnson administration justification for further escalation and troop deployments. Anti-war protests in the U.S. escalated in turn. National Security Council Meetings Files, 11/22/1963 - 1/20/1969- Notes from official NSC meetings during the Johnson administration, many of which dealt with Vietnam. President's Daily Diary, 11/22/1963 - 1/20/1969- Activity logs prepared by secretaries outside the Oval Office. Sample of entries, starting with LBJ's first days in office after assassination. A major topic is Gulf of Tonkin attacks. Johnson White House Photographs, 11/22/1963 - 1/20/1969-238 photos relating to Johnson’s visit to Vietnam, Johnson with troops in Vietnam and in the U.S., the Honolulu Conference, the Gulf of Tonkin Incident, President Nguyen Van Thieu, Johnson administration advisers, and anti-war demonstrations. Letter to President Lyndon B. Johnson from Jackie Robinson, 4/18/1967- Robinson discusses the Civil Rights movement and Martin Luther King Jr.'s opposition to Vietnam, the role of Vietnam protest in civil rights, and states his support for Johnson. President Eisenhower administration began first boots on the ground involvement of United States in Vietnam, sending the Military Assistance Advisory Group to train the South Vietnamese military after the partitioning of Vietnam in 1954. In the fallout of Cold War escalations including the Cuban Missile Crisis and construction of the Berlin Wall, Vietnam became a critical stage for US resistance to Communist influence. The Kennedy administration committed to increased economic and military support, growing the number of military advisers from Eisenhower’s 900 to over 16,000 by 1963. One of the most definitive actions taken by the Kennedy administration was its (tacit) approval of the military coup that overthrew and assassinated South Vietnamese President Diem. America's Stake in Vietnam June 1, 1956, 6/1/1956- Kennedy speech outlining the case for U.S. intervention in Vietnam. Papers of President Kennedy: White House Central Files: White House Subject File: National Security – Defense- Famous series of letters between JFK and Mrs. Bobbie Lou Pendergrass about the death of her brother, James McAndrew, and the purpose of US involvement in Vietnam (Feb 1963). World Reaction to Developments in Vietnam, 9/14/1963- Viewpoints from Far East, Western Europe, Near East-South Asia, Africa, Latin America. Report of McNamara-Taylor Mission to South Vietnam, 10/2/1963- Political and military situation in Vietnam. Cautiously optimistic, but notes political tension and dissent with the Diem regime. Diem would be overthrown and assassinated a month after this report was submitted. Vietnam: General, 1963 and Vietnam: Security, 1963 from series Country Files, 1/20/1961 - 11/22/1963- State Department cables between the US Ambassador to Vietnam and the White House detailing the situation in Vietnam, especially concerns with the South Vietnamese government. When researching individual veterans, researchers have two types of records to pull information from: personnel records and operational records. Personnel files for individual soldiers- stored in the National Personnel Records Center (NPRC) in St. Louis, MO- will often contain service dates, rank, death date, and potentially background information about medals received. Generally, personnel records will not include information about what a soldier did or where they were located during their time in service. Unit and ship records are helpful for understanding the movements and activities during the Vietnam War. Although unit and ship records usually don’t include names, they can give context to information found in personnel files and explain what that ship or unit was doing during the war. Personnel records can be requested online through the National Archives eVetRecs portal. Most Vietnam-related personnel records are not considered archival,* so full personnel files are only served to the veteran, the veteran’s next-of-kin, or a researcher with written permission from the veteran/next-of-kin. Explains the request process. See links on the left side of the page for more information about military personnel files and the request process. Next-of-kin is specified as: un-remarried widow or widower, son, daughter, father, mother, brother or sister of the veteran. Explains the request process for non-next-of-kin researchers. This page specifies what types information from personnel files can be released to the general public . In addition to personnel files, the National Archives hosts a number of searchable databases where researchers can locate information for specific individuals through Access to Archival Databases (AAD). These databases can be searched using identifiers (names, service numbers, home county/state at time of service, etc.) for individual soldiers and personnel. Includes the Vietnam Experience Study Files, which tracked selected Army personnel who served in 1967 and 1968, and a database containing information concerning some of the awards and decorations given to U.S. military personnel and allied foreign military personnel. *Military personnel records accessioned into the National Archives become archival 62 years after the service member's separation from the military. So, as of 2017, the records of personnel discharged after 1955 are not open to the public. Archival operational military records from the Vietnam War era are held in the National Archives in College Park, MD. Some of these records are available online (see below). 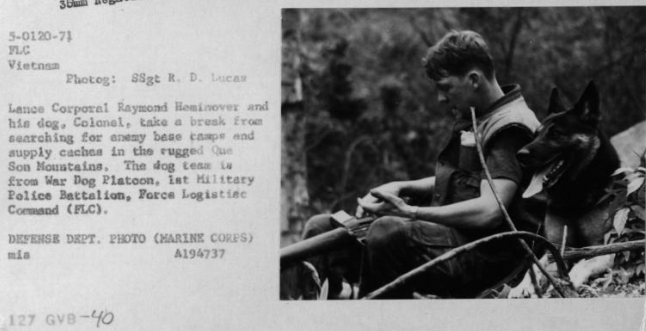 For assistance with Vietnam-era operational military records, contact the College Park reference unit here: archives2reference@nara.gov. (For tips on the reference request process, check out this History Hub blog post: What to Expect When You're Requesting.) 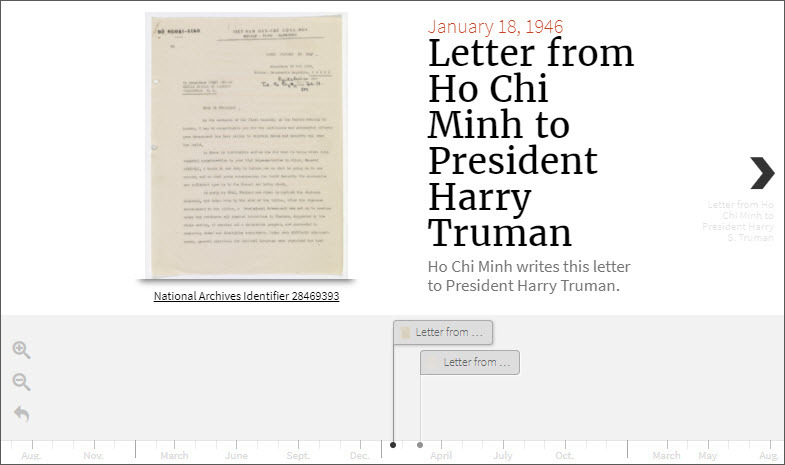 You can get started learning about the National Archives’ Vietnam-era records on archives.gov. These records are digitized and available online through the National Archives catalog and Access to Archival Databases (AAD). This is not a comprehensive list of every Vietnam War resource available online, but hopefully these links will be a helpful stepping off point for historical research about individuals and events connected to this period. 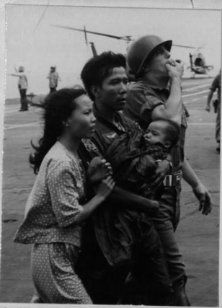 The National Archives also has a new Vietnam War research portal, which you can learn more about here. Black and White Photographs of Marine Corps Activities in Vietnam, 1962 – 1975- Photos of a wide range of subjects including: marines in combat, military dogs, ceremonies and entertainers, aircraft, visits by VIPs, the Army of the Republic of Vietnam, Viet Cong, Vietnamese civilians, Operation Homecoming, and Operation Frequent Wind. 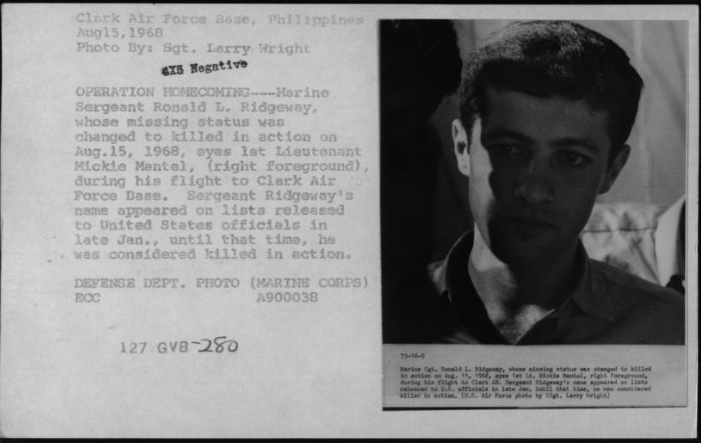 General Photograph File of the U.S. Marine Corps, 1927 – 1981- This series covers multiple wars, including Vietnam. General Black-and-White Photographic File of the Department of Navy, 1958 – 1981- Includes photos of POW releases, naval combat and ships, and medical staff with wounded soldiers. Vietnam, Vietnam- This film reviews the history of Vietnam and U.S. involvement in the Vietnam War. The war footage includes combat scenes, civilian massacres and mistreatment of Prisoners of War. The film concludes with a quick succession of comments by well-known and average citizens, some favoring U.S. involvement and some opposing it. The movie was executive produced and directed by John Ford, with a narration by actor Charlton Heston. Films from this series include Action Vietnam, The Army and Vietnam, The Big Red One in Vietnam, The Fight for Vietnam, The Hidden War in Vietnam, U.S. Army Advisor in Vietnam , Vietnam Crucible, and Why Vietnam?. The first two minutes of each film is currently available in the National Archives catalog, but many of these films have been uploaded to YouTube by third parties. Links to unit- and ship-level operational records can be found here. Report of the Office of the Secretary of Defense Vietnam Task Force, 6/1967 - 1/1969- Also known as the Pentagon Papers. This series covers US involvement in Vietnam, Laos, and Cambodia from WWII to 1967. An index to the materials is available in the catalog here. Vietnam Special Studies Group (VSSG) Files, July 1, 1969 - January 31, 1974 (Downloadable data file)- Summarized data about the security of hamlets in South Vietnam as derived from the Hamlet Evaluation System 1971 (HES71) files. The categories describing the security of the hamlet indicate the degree to which the GNV or Viet Cong has presence or influence in the hamlet. General Records, 1965 – 1972- "This series consists of a wide variety of records that were maintained by the Command Historian. The records include Command Historian administrative files, as well as other unit histories, counterinsurgency studies, weapons effectiveness reports, personnel reports, interviews, handbooks, photographs, and operational reports - lessons learned (ORLL)." Cluster Analysis Map of Vietnam, 1991 – 1992- Cluster map of intelligence reports of US POWs in Vietnam from the records of the U.S. Senate. CBS REPORTS: POWS PAWNS OF WAR, 6/1971, Part 1 and Part 2- CBS documentary on treatment of US prisoners in North Vietnam and Viet Cong prisoners in South Vietnam, and includes interviews with wives and families of American POWS. Vietnam Veterans Readjustment Study Files, 1986 – 1987- Study commissioned by the VA on the causes, evolution, and extent of readjustment problems experienced by veterans of the Vietnam War. Survey on Campus Unrest Data File (Downloadable data file)-Study done by Nixon President's Commission on Campus Unrest with information collected from 1967-1970. This series consists of a social survey of college and university administrators, faculty members and student leaders. It includes information about the institutions and the students, and about incidents on respondents' campuses that involved the National Guard, off-campus police, outsiders, court injunctions, property destruction, injuries or death. The survey also includes information about respondents' attitudes toward causes of unrest, the institutional and governmental responses, and respondents' proposals to limit future incidents. 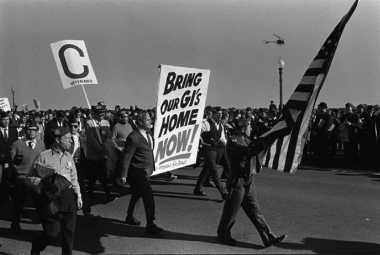 Johnson White House Photographs, 11/22/1963 - 1/20/1969- This series includes several photos of anti-war demonstrations in Washington, D.C. during the Johnson Administration. Records of the Kent State University Investigative Team, 1970 – 1970- Materials collected to investigate the death of Kent State student demonstrators, as part of President Nixon’s Commission on Campus Unrest. Coffin, Spock, et al. Protest- Digitized items from an investigation of anti-war activities conducted by the U.S. Attorney for the Judicial District of Massachusetts. After Action Reports and Other Records Relating to the Bob Hope Christmas Tours, 1968 – 1972- "This series consists of after action reports relating to the several Bob Hope Christmas shows staged within Vietnam ("Operation Holly", 1966-1970; "Operation Jingle Bells", 1971)."